Are you wondering how a billboard in the San Francisco Bay Area designated marketing area could affect your business? With Veale Outdoor Advertising on your side, you’ll be able to catch the eyes of thousands of commuters every day, and millions every month. Whether you’re considering going the traditional route with a static board or would prefer a more high-tech digital billboard, we offer the options and experience necessary to make sure your next marketing campaign starts and stays strong. The benefits of digital OOH advertising begin with the fact that the color will always stay bright and the board will never fade or tear. Creating a digital ad allows for a great deal of versatility, especially if you have frequently changing campaigns, sales, or events. A billboard in the San Francisco Bay Area designated marketing area with a compelling call to action can do wonders for your newest marketing campaign. Why? Because commuters in this area who have significant travel distance are also more likely to have higher household incomes. Regular exposure to clever outdoor advertising can inspire them to take action, as opposed to other forms of advertising that are easier to ignore or avoid, like television or radio advertisements. The North Bay Area has so much to offer, from radio and concerts to night life and high-end shopping. 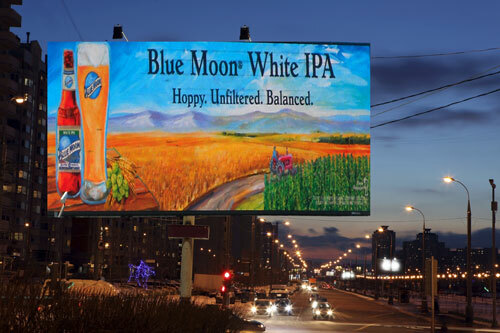 With the right placement and strategy, the best billboards can help bring in a solid stream of new and repeat business. Don’t leave your next marketing campaign to chance or continue pumping dollars into methods that have proved ineffective. Bank on a billboard in the San Francisco Bay Area designated marketing areas of Sonoma County and Solano County. Call Veale today for more information and assistance!